USS Hancock burning after being struck by a kamikaze special attack aircraft off Okinawa, 7 Apr 1945. Note fires burning fore and aft, and TBM Avenger flying over the carrier. 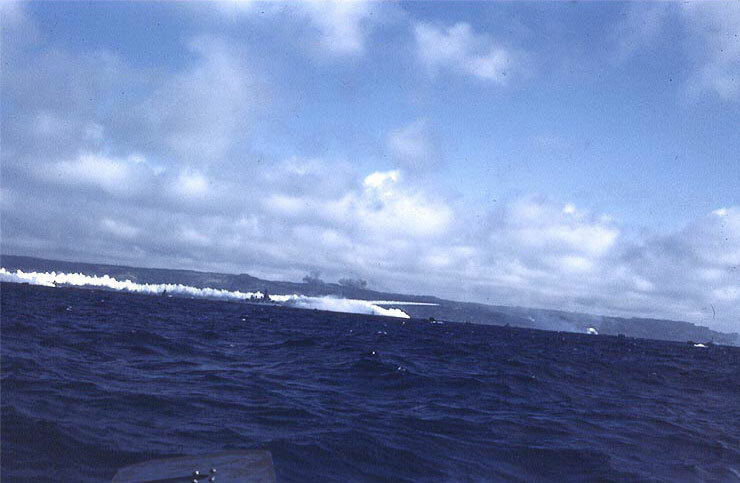 Photographed from USS Pasadena.